The disturbing television pictures this year of the fearful damage inflicted by nature is an ever-present reminder of the catastrophic effects of climate change, no matter how people like Donald Trump may choose to deny it. Heartbreaking scenes like the magnificent Piazza San Marco in Venice being battered by floods, though not unprecedented, seem to be getting worse. The so-called hurricane season that was once someone else's problem has become a serious concern in this country. But can that which cannot be avoided be managed? The company we are examining today may have some of these answers. 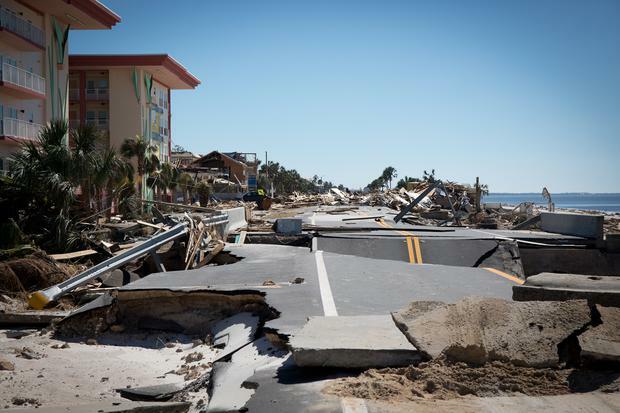 It is ambitious British equipment rental specialist Ashtead, which has helped the clean-up efforts after storms and hurricanes that have devastated the US in recent years. The company rents out all sorts of equipment from small hand tools to excavators which can lift, move, dig, pump or generate power. In short, do precisely what's required after a natural disaster. Ashtead has been operating in America since the 1990s. Its offshoot, Sunbelt Rentals, has more than 750 locations in 46 states, generating £3.1bn (€3.5bn) in revenues and is now the second biggest equipment rental company in the US. While maintaining a headquarters outside London, its British network is much smaller than the US, yet Ashtead is the largest rental group in the UK, with 200 locations, and revenues just under £500m. The group's small operation in Canada has been boosted by the recent acquisition of Ontario-based competitor CRC, which adds scale to its network and gives it access to the eastern Canadian market. The group provides a wide range of rental equipment and solutions to a large number of customers. This includes all types of equipment for the construction industry such as forklifts, power saws, excavators, scaffolding and portable traffic systems for major projects. Interestingly it also generates power, lighting and other equipment for concerts, festivals and even the US Super Bowl. The concept of Ashtead's business model is simple and resembles what used to happen in the Irish TV rental market years ago. The group buys a broad range of equipment directly from manufacturers, and rents it out to a range of customers on a short-term basis. After a period of time (five to 10 years) it sells the old equipment into the second-hand market, recovering a proportion of the original price. Ashtead has executed its strategy flawlessly and its track record over the last five years has been impressive. Revenues have more than doubled to £3.7bn, helped recently by a weaker pound. Pretax profits are 2.6 times higher in the same period of time and it trades today with a healthy 28pc operating profit margin. Last year its US operations saw revenues jump 15pc, benefiting from strong markets and the impact of hurricanes. Its UK rental business saw rental income increase but margins were lower. First quarter results this year show a weakening in margins, but revenues and profits rose more than one-fifth and net debt fell slightly. The group continues to ramp up investment to capitalise on growth potential, increasing its capital expenditure by almost a fifth. Its shares have taken a hit in the October market fall and now hover around £19 a share, 20pc below the yearly high. But investors are pleased that it continues to underpin its share, announcing a £1bn buyback last December. The strong dollar also helps its revenues. If the climate keeps changing Ashtead will benefit, and the strength of its balance sheet and free cash flow will continue to allow the company its bolt-on acquisition strategy and expand its geographic footprint. While the group plans to achieve double-digit growth for the next three years, it is well to remember this is a cyclical industry.